Here are some of the Ocala-area veterinarians who have been involved with the creation of the new clinic. Working closely with veterinary hospitals in the Ocala area, PETS is open from 5pm – 8am on weekdays and all day weekends and holidays to provide immediate emergency treatment for your pets. The PETS clinic is centrally located to area veterinary hospitals. Care is performed by emergency trained veterinary clinicians and technicians. Our goal is to provide a caring, compassionate environment for critically ill animals and their families. 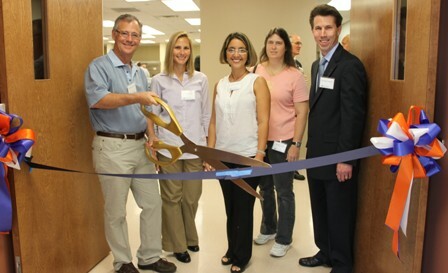 Read more about the University of Florida Veterinary Hospitals. See Ocala Star Banner Article about UF PETS clinic first anniversary.